Are you as excited I am that it is springtime? Spring is my favorite season - the season of new growth and rebirth. Springtime also brings with it Easter, known as Resurrection Sunday, and is the celebration of the resurrection of Jesus Christ. 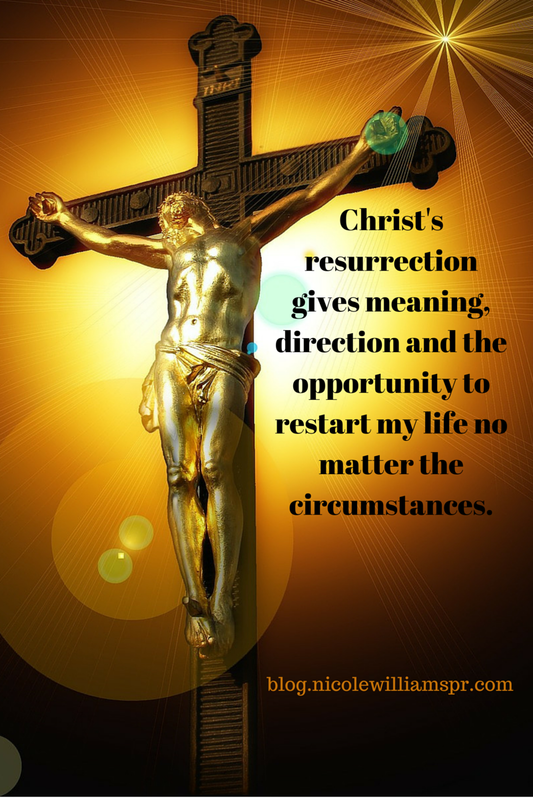 Spring and Easter are both reminders that no matter the circumstances, one can always start over. In a past post I wrote about practicing the attitude of gratitude and celebrating the never ending fiesta of life, a great way of savoring the beauty in everything. The resurrection promise is written in every leaf of springtime, and as one quote reads... "Easter says you can put truth in a grave, but it won't stay there." So when the complexities of life makes you feel like giving up, just remember that there is always hope of starting over. Last week I shared with my newsletter subscribers, that problems are seeds to rewards and the opportunity for significance; translation, you have no value until you solve a problem. With that said, and as we prepare to celebrate the season of LOVE and FORGIVENESS, I wish you and yours a blessed Easter.